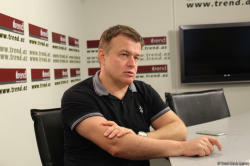 Settlement of the Armenia-Azerbaijan Nagorno-Karabakh conflict depends directly on the parties to the conflict, Sarunas Liekis, the Lithuanian political analyst, a board member of the Vilnius Institute of Political Analysis, who is in Baku, told Trend. Liekis noted that with the coming of the new government to power in Armenia, it is possible to expect constructive changes in the country’s position on the settlement of the conflict. Nevertheless, Liekis believes that the status quo will continue. “There are always chances in international politics, and sometimes you have to wait for a long time for a conflict to be resolved,” he said.